When my now four-year old was given her first bite of solid food she scrunched up her face and spit it out. That was the first and last time she did that when new foods were offered to her. She quickly became known as a “good eater,” eating anything and everything placed before her. She went through a period where she ate zucchini by the bowl full. I clearly remember a friend declaring at a party, “Oh, E picked up a piece of raw broccoli from the table, ate it, and then went back for more!” She was 2 1/2 at the time. All those parenting books advising that you might have to offer a new food ten times before your child would eat it did not apply to us. But then it happened, sometime after she turned three. The words of her wise and experienced teacher her first year in day care came true, “Just wait until she is three or four. She will all of a sudden get pickier and refuse to eat vegetables.” At the time we were told this we thought, “No way, not our child. We grow our own vegetables and eat so well,” privately patting ourselves on the back. We were wrong, so, so wrong. No matter how many peas she ate straight from the vine or carrots she pulled out of the ground, she began turning her nose to things she ate with abandon only months before. Now, dishes that were once favorites, zucchini, salmon, homemade vegetable soup, get a resounding “Bleck!” when placed before her at the table. We usually respond, practically pleading with her, “You used to love this!” Of course, this is a common challenge for parents. I bet many of you could tell a similar story. Despite her pickiness, E continues to be an adventurous eater, never turning up her nose at a new food experience. 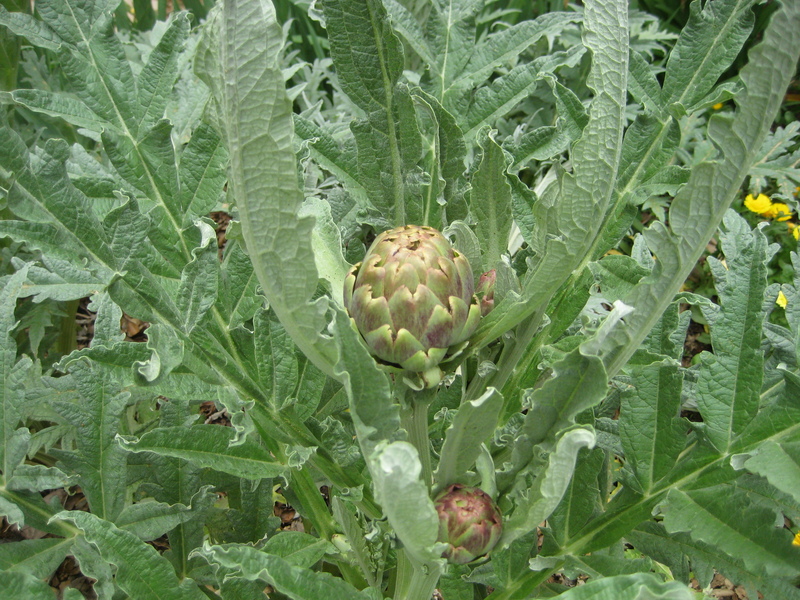 I have taken comfort in the fact that she waits anxiously every spring for the pea pods to fill out, the artichokes to get big enough for harvesting, and always asks for a second helping of asparagus. Upon reflection I remember she is growing up with a garden and is compiling intimate knowledge about the life cycle of a plant, what many vegetables look like while growing, and when to harvest them. I keep planting for myself, my family, for her, to imagine a different food system. Ultimately, this is what really matters to me. The vegetable eating will come with it (eventually…I hope). Then, the other night, I placed a plate in front of her that included a healthy serving of kale, to which she exclaimed, “Oh, hey, kale! I LOVE kale!” and I see there is a light at the end of the tunnel. Maybe. She is adorable! At two, our daughter is also a “great eater.” I sometimes worry that will change, and certainly every child goes through phases, but I hold out hope that our lessons and habits cultivated in our gardens will prevail. I think they are some of the best we can teach as parents. Thanks for being such a great example! Thanks! Yes, each child has their phases and every child is different. I am hoping that in the long run, by setting a good example and fostering a healthy connection and relationship with food, that good eating habits prevail along with plain old enjoying good food. Thanks for stopping by my blog as I’ve found another inspiring blog to follow. It’s amazing to see you’re able to raise your kids appreciating the goodness of vegetables. My niece and kids of my friends get away with murder when it comes to dinner table and I’ve always thought how my brother and I were left to starve if we didn’t eat what was on our plate. “I don’t like this” was never an option for me. Sure kids go through phases as you’ve rightly pointed out in this post but as parents we can’t afford to lose patience with them and give in to their “likes” and “dislikes”. It’s inspiring to see your persistence with E! Look forward to reading more from you! Thanks for stopping by here, too! We decided early on to have a “everyone eats what is prepared” rule. No special meals (only substitutes for food allergies). 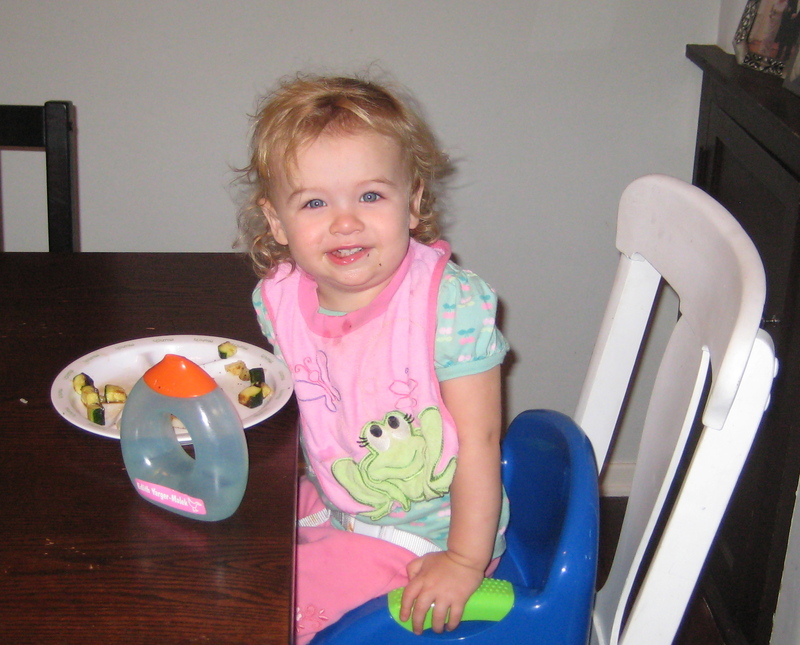 Often times E will start out the meal turning up her nose, but then proceeds to eat a healthy serving. Some things she claims to dislike, but I think she secretly doesn’t mind them so much ;). Yes! The difference between fresh picked produce and store bought is striking. I just hope my youngest will learn to appreciate it too ;). So many things my dear mom decided I wouldn’t like — without even trying. I didn’t know what a brussel sprout was until I was a young adult! E is certainly lucky… And I’m guessing you’re right: She kind of “tries on” not liking something just to see how it will fly. I grew up having to eat vegetables, but did not like them one bit (save for artichokes and broccoli). They certainly were not as fresh as coming out of the backyard and I recall many of them coming out of the freezer. Yes, she definitely is “trying” to not like things. Thanks for stopping by and for your comment! Great article–my oldest and youngest eat everything, but we’ve had to establish rules with our middle son: no complaining at the table, take one bite and if you don’t like it, just keep quiet, etc. When he helps grow it or cook it, though, he’ll eat a wide variety of healthy food. Sometimes if I serve a rejected food with something sweet (or just add a little sugar), he’ll eat it and realize he likes it. Then next time I just serve it as is. He gets a little more adventurous all the time. He ate figs and creme fraiche a few days ago. There’s definitely hope. For a little while my daughter would come to the table, sit down, and immediately say, “Bleh,” to her food. When she did that we would have her get up, walk away from the table, and try again. She couldn’t just sit down and say she didn’t like something before taking a bite. Your comment reminded me of that, and I am just now realizing she hasn’t done that in a long time. I think if you keep offering good stuff, eventually they will realize they like it or acquire a taste for it. There is definitely hope.